Thanks to Churp2, i got the ticket to attend the Narnia screening yesterday. The movie have 2 dates. Its showing on cinema starting today for 3D and non-3D will be on 9 December 2010. Synopsis: Return to the magic and wonder of C.S. Lewis' beloved world - via the fantastic Narnian ship, the Dawn Treader. 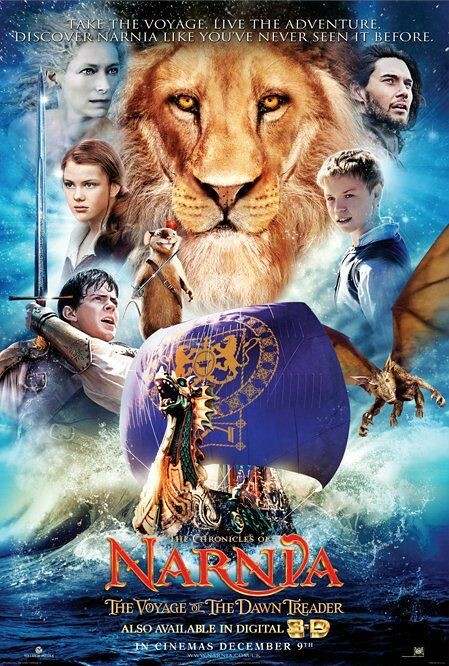 In this new installment of the blockbuster "The Chronicles of Narnia" motion picture franchise, Edmund and Lucy Pevensie, along with their cousin Eustace and their royal friend King Caspian, find themselves swallowed into a painting and on to the Dawn Treader. As they embark on an incredible adventure of destiny and discovery, they confront obstacles beyond imagination. Rate: Its about 2 hours movie! Long story line.